Not everybody appreciates my defense of tax havens. A Clinton Administration official accused me of disloyalty to America. The OECD threatened to throw me in a Mexican jail. I don’t mind these threats and attacks. I figure the other side would ignore me if I wasn’t being at least somewhat effective in the battle to preserve tax competition, fiscal sovereignty, and financial privacy. That being said, it’s definitely nice to have allies. I’ve cited Nobel laureates who support jurisdictional competition, and also shared great analysis in support of low-tax jurisdictions from top-flight financial writers such as Allister Heath and Pierre Bessard. Now we have a new video from Sweden’s Johan Norberg. Johan’s latest contribution in his Dead Wrong series is a look at tax havens. Johan packs an incredible amount of information in an 88-second video. He points out that stolen data from low-tax jurisdictions mostly reveals that politicians are the ones engaging in misbehavior, a point I’ve made when writing about pilfered data from Panama and the British Virgin Islands. He makes the critical point that tax competition “restrains the greed of government,” a point that the New York Times inadvertently confirmed. He also makes the key point that tax havens actually are good for the economies of high-tax nations because they serve as platforms for investment and job creation that otherwise might not occur. Moreover, he notes that the best way to boost tax compliance is by having honest government and low tax rates. The bottom line is that tax competition and tax havens promote better policy since they discourage politicians from imposing high tax rates and double taxation. But this isn’t merely an economic and tax issue. There’s also a very strong moral argument for tax havens since those jurisdictions historically have respected the human right of financial privacy. For those who care about global prosperity, the real target should be tax hells rather than tax havens. This is a message I will continue to deliver, whether to skeptics in the media or up on Capitol Hill. P.S. If you prefer an eight-minute video over an 88-second video, here’s my two cents on the importance of tax competition. While my colleagues are stuck in the cold of Washington for inauguration week, I’m enjoying a few days in the Caribbean. More specifically, I’m sharing my views today on Trump and the global economy at the annual Business Outlook Conference in the British Virgin Islands. Yes, another example of the sacrifices I make in the battle for liberty. But it’s fortuitous that I’m here for reasons other than the weather. This is a good opportunity to expose Oxfam. Many people have a vague impression that this group is a well-meaning charity that seeks to help lift up poor people. If you take a close look at the organization’s activities, however, you’ll see that it’s become a left-wing pressure group. Based on Oxfam’s ideologically driven agenda, Bermuda and the Cayman Islands are the worst of the worst, followed by the Netherlands, Switzerland, and Singapore. The British Virgin Islands, meanwhile, is number 15 on Oxfam’s list. And what awful sins did BVI and the other jurisdictions commit to get on the list? Well, the report suggests that their guilty of helping taxpayers minimize their tax burdens. 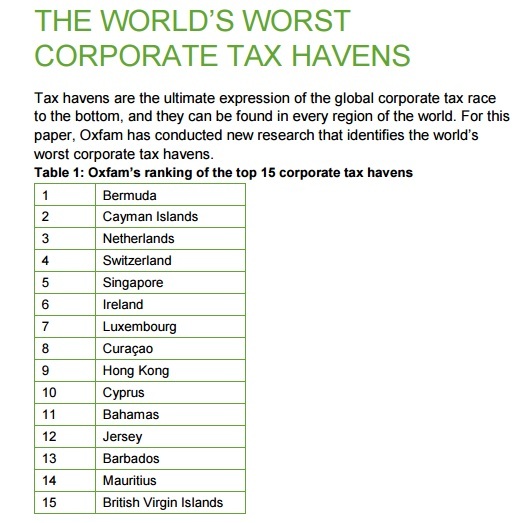 To create the list, Oxfam researchers assessed countries against a set of criteria that measured the extent to which countries used three types of harmful tax policies: corporate tax rates, the tax incentives offered, and lack of cooperation with international efforts against tax avoidance. In other words, places with good business tax policy are ostensibly bad because politicians have less money to waste. By the way, the folks at Oxfam are grotesquely hypocritical. The world’s most important jurisdiction for corporate tax planning is Delaware and it didn’t even appear on the list. Why? I have no idea. But I can tell you that there is a single building in Delaware that is home to 285,000 companies according to a report in the New York Times. 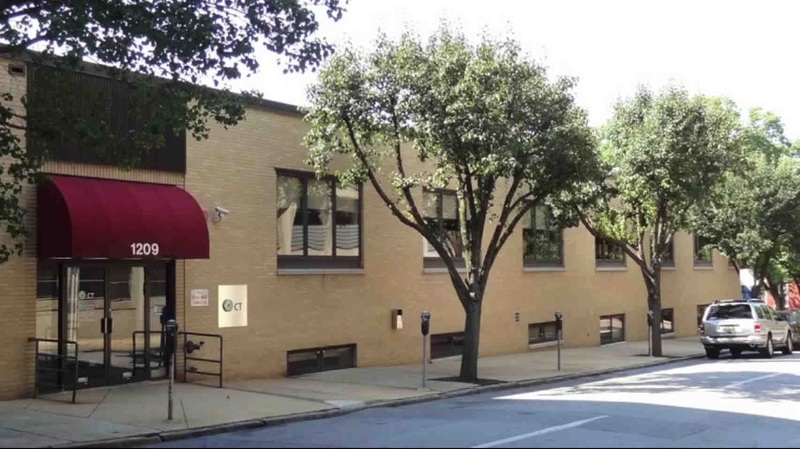 1209 North Orange Street… It’s a humdrum office building, a low-slung affair with a faded awning and a view of a parking garage. Hardly worth a second glance. If a first one. But behind its doors is one of the most remarkable corporate collections in the world: 1209 North Orange, you see, is the legal address of no fewer than 285,000 separate businesses. Its occupants, on paper, include giants like American Airlines, Apple, Bank of America, Berkshire Hathaway, Cargill, Coca-Cola, Ford, General Electric, Google, JPMorgan Chase, and Wal-Mart. These companies do business across the nation and around the world. Here at 1209 North Orange, they simply have a dropbox. …Big corporations, small-time businesses, rogues, scoundrels and worse — all have turned up at Delaware addresses in hopes of minimizing taxes, skirting regulations, plying friendly courts or, when needed, covering their tracks. …It’s easy to set up shell companies here, no questions asked. Most leftists get upset about Delaware, just like they get upset about BVI and the Cayman Islands. But Oxfam’s people are either spectacularly clueless or they made some sort of bizarre political calculation to give America a free pass. For purposes of today’s discussion, however, what matters most is that Oxfam is ideologically hostile to jurisdictions with good policy. The fact that they’re also hypocritical is just icing on the cake. By the way, putting out shoddy reports is a pattern for the organization. It recently got a lot of press attention because of a report on “An Economy for the 99 Percent” with the dramatic claim that the world’s 8-richest people have the same wealth as the world’s bottom-50 percent. Oxfam wants people to somehow conclude that billions of people are poor because those 8 people are rich. But that’s nonsense. My colleague Johan Norberg has waged a one-man campaign to debunk Oxfam’s shoddy methodology and dishonest implications. Here are two very clever tweets on the topic. 8 people are richer than 3.6 bn, says Oxfam. So? My daughter, who has $20, is richer than 2 bn. So the problem is poverty, not inequality. Amen. Ethical people want to reduce poverty. Envious people want to punish the successful. And here’s a tweet noting that the classical liberal policies opposed by Oxfam have led to a much better world. And here’s one of his “Dead Wrong” videos on the topic of inequality and poverty. And since we’re looking at videos, here’s my video on Obama’s anti-tax haven demagoguery. You’ll notice that 1209 North Orange Street makes a cameo appearance. The moral of the story is that BVI (and other so-called tax havens) should be applauded, not criticized. And Oxfam should end the pretense of being a charity. It’s a left-wing hack organization. Is Defending Tax Competition Akin to “Trading with the Enemy”? And just today, in a story in the Washington Post about the Center for Freedom and Prosperity (I’m Chairman of the Center’s Board of Directors), former Senator Carl Levin has accused me and others of “trading with the enemy” because of our work to protect and promote tax competition. Even the other side says the Center is effective. I wonder whether October 3, 1913, was the worst day in American history. That’s when one of America’s worst presidents signed into law the income tax. The top rate was only 7 percent when Woodrow Wilson approved the income tax, and the tax only applied to the very richest Americans. But as is so often the case, taxes on the wealthy are a precursor to taxes on the rest of us. And that’s exactly what happened and today we’re burden with a grossly unjust and punitive tax code. But it doesn’t have to be this way. 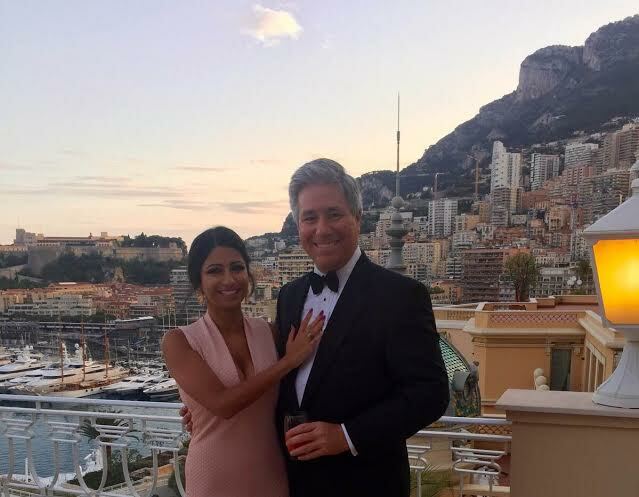 I’ve been at a conference in Monaco for the past few days and I’ve seen firsthand how a nation with zero income tax can be a prosperous Mecca (and I’ve also noticed that the Princess of the Levant is far more likely to accompany me on a trip when she has an opportunity to show off a new dress). No income tax, by the way, means no income tax. Nothing. No capital gains tax, either. The main source of revenue is a value-added tax, generally about 20 percent, along with a tax on business income, but only if a substantial share is earned outside Monaco. So is this benign tax regime actually conducive to prosperity? Yes. Here is the data from the United Nations on per-capita economic output. You’ll see several of my favorite places, including the Cayman Islands, Liechtenstein, Singapore, Switzerland, and Bermuda. But leading the list is Monaco. By the way, Monaco’s good policy doesn’t just generate domestic prosperity. It also means some spin-off employment for France. Every day some 41,000 people come from outside to go to work and all these non-Monegasque nationals, most of whom are French, depend on our economic success. …commerce and the manufacturing also employ significant numbers; over 3,000 workers are, for instance, taken up by the latter. 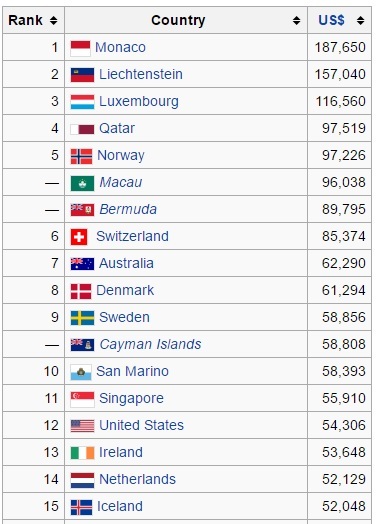 While Monaco’s per-capita GDP numbers are very impressive, the numbers on per-capita wealth are even more astounding. The average person has more than $1.5 million of assets. 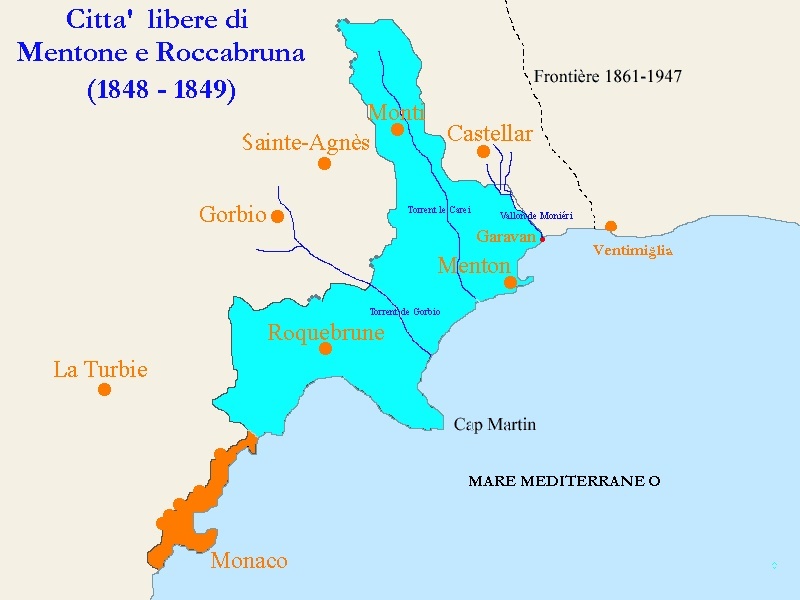 By the way, the unluckiest people in the world are the residents of Roquebrune and Menton in France. That’s because those towns were part of Monaco until the mid-1800s. Now they’re part of a tax hell rather than a tax haven. So what’s the bottom line? What can we say about Monaco? Students for Liberty has a good summary. P.S. In addition to zero income tax, Monaco also apparently has widespread gun ownership. What a great place. P.P.S. Monaco is in 5th-place for per-capita readership of International Liberty, so the people are both prosperous and discerning! Economists certainly don’t speak with one voice, but there’s a general consensus on two principles of public finance that will lead to a more competitive and prosperous economy. Lower tax rates are more conducive to work and entrepreneurship than higher tax rates. Reducing the tax bias against capital formation will improve growth by increasing saving and investment. To be sure, some left-leaning economists will say that high tax rates and more double taxation are nonetheless okay because they believe there is an “equity vs. efficiency” tradeoff and they are willing to sacrifice some prosperity in hopes of achieving more equality. I disagree, mostly because there’s compelling evidence that the left’s approach ultimately leads to less income for the poor, but this is a fair and honest debate. Both sides agree that lower rates and less double taxation will produce more growth (though they’ll disagree on how much growth) and both sides agree that a low-tax/faster-growth economy will produce more inequality (though they’ll disagree on whether the goal is to reduce inequality or reduce poverty). Since I’m on the low-tax/faster-growth side of the debate, this is one of the reasons why I’m a big fan of tax competition and tax havens. Simply stated, when politicians have to worry that jobs and investment can cross borders, they are less likely to impose higher tax rates and punitive levels of double taxation. Interestingly, even the statist bureaucrats at the Organization for Economic Cooperation and Development (who, ironically, get tax-free salaries) agree with me, writing that tax havens “may hamper the application of progressive tax rates.” They think that’s a bad thing, of course, but we both agree that tax competition means lower rates. And look at what has happened to tax rates in the past few years. Now that politicians have undermined tax competition and weakened tax havens, tax rates are climbing. So I was very surprised to see some economists signed a letter saying that so-called tax havens “serve no useful economic purpose.” Here are some excerpts. The existence of tax havens does not add to overall global wealth or well-being; they serve no useful economic purpose. …these jurisdictions…increase inequality…and undermine…countries’ ability to collect their fair share of taxes. …There is no economic justification for allowing the continuation of tax havens. You probably won’t be surprised by some of the economists who signed the letter. Thomas Piketty was on the list, which is hardly a surprise. Along with Jeffrey Sachs, who also has a track record of favoring more statism. Another predictable signatory is Olivier Blanchard, the former top economist at the pro-tax International Monetary Fund. The only surprise was that Angus Deaton, the most recent recipient of the Nobel Prize for economics, signed the letter. But if that’s an effective “appeal to authority,” there’s a far bigger list of Nobel Prize winners who recognize the economic consensus outlined above and who understand a one-size-fits-all approach would undermine progress. In other words, there is a very strong “economic purpose” and “economic justification” for tax havens and tax competition. Simply stated, they curtail the greed of the political class. Philip Booth of the Institute of Economic Affairs in London opined on this issue. Here’s some of what he wrote for City A.M.
…the statement that tax havens “have no useful purpose” is demonstrably wrong and most of the other claims in the letter are incredible. Offshore centres allow companies and investment funds to operate internationally without having to abide by several different sets of rules and, often, pay more tax than ought to be due. …Investors who use tax havens can avoid being taxed twice on their investments and can avoid being taxed at a higher rate than that which prevails in the country in which they live, but they do not avoid all tax. …tax havens also allow the honest to shelter their money from corrupt and oppressive politicians. …one of the advantages of tax havens is that they help hold governments to account. They make it possible for businesses to avoid the worst excesses of government largesse and crazy tax systems – including the 39 per cent US corporation tax rate. They have other functions too: it is simply wrong to say that they have no useful purpose. It is also wrong to argue that, if only corrupt governments had more tax revenue, their people would be better served. Amen. I especially like his final point in that excerpt, which is similar to Marian Tupy’s explanation that tax planning and tax havens are good for Africa’s growth. Last but not least, Philip makes a key point about whether tax havens are bad because they are sometimes utilized by bad people. …burglars operate where there is property. However, we would not abolish property because of burglars. We should not abolish tax havens either. When talking to reporters, politicians, and others, I make a similar point, arguing that we shouldn’t ban cars simply because they are sometimes used as getaway vehicles from bank robberies. The bottom line, as Professor Booth notes, is that we need tax havens and tax competition if we want reasonable fiscal systems. But this isn’t simply an issue of wanting better tax policy in order to achieve more prosperity. In part because of demographic changes, tax havens and tax competition are necessary if we want to discourage politicians from creating “goldfish government” by taxing and spending nations into economic ruin. P.S. Here’s my video on the economic case for tax havens. P.P.S. Let’s not forget that the Paris-based Organization for Economic Cooperation and Development is the international bureaucracy most active in the fight to destroy tax competition. The is especially outrageous because American tax dollars subsidize the OECD. I wrote last month about Secretary of State John Kerry being a giant hypocrite because he’s been a critic of so-called tax havens, yet he and his family benefits immensely from investments in various low-tax jurisdictions. But perhaps that’s something that Obama requires when selecting people for that position. It turns out that Kerry’s predecessor also utilized tax havens. Earlier this year, the New York Post editorialized about Hillary Clinton’s attack against tax havens, which they found to be absurd since the Clinton family benefits significantly from places such as the Cayman Islands. 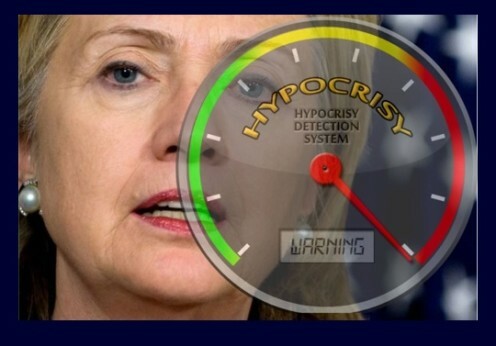 Hillary Clinton last week lunged into her most flagrant fit of hypocrisy yet. …she took new aim at the rich — including their use of tax dodges. She told MSNBC: “We can go after some of these schemes … the kind of…routing income through the Bahamas or the Cayman Islands or wherever.” Huh. …the Clintons’ family wealth has grown big-time thanks to firms with significant holdings in places like . . . the Caymans. As The Daily Caller notes, Bill Clinton spent years as a partner in his (now-ex-) buddy Ron Burkle’s investment fund Yucaipa Global — registered in the Cayman Islands. …It’s a family thing: Chelsea Clinton’s hubby, Marc Mezvinsky, is a partner in a hedge fund with multiple holdings incorporated in the Cayman Islands. This isn’t to criticize Cayman, by the way. It’s one of the best jurisdictions in the world if you want high levels of honest governance and very sensible tax and regulatory policies. But shouldn’t politicians practice what they preach? 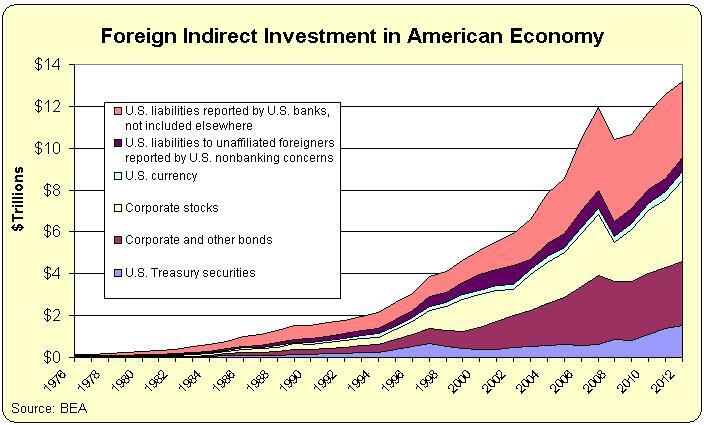 So why aren’t Kerry and Clinton instead investing in France or Greece to show their support for high tax burdens? By the way, the editorial also cited the Clinton family’s house, which is owned by a trust to help dodge the death tax, something that I also called attention to back in 2014. Let’s shift from taxes to the environment. Writing for Real Clear Politics, Ed Conard takes aim at the moral preening of Leonardo DiCaprio. Time Magazine released its list of the top 100 Most Influential People and placed Leonardo DiCaprio on the cover of its magazine for the personal example he sets on climate change. How Ironic! …According to the leaked Sony documents for example, DiCaprio took six private roundtrip flights from Los Angeles to New York over a 6-week period and, a private jet to the 2014 World Economic Forum in Davos Switzerland. Pictures of him vacationing on big yachts… What hypocrisy! He enjoys the very luxuries that he admonishes others not to indulge. Oh, wait, he buys carbon offsets, the modern version of purchasing an indulgence. But Mr. Conard is not very impressed by that bit of moral preening. So who really paid for DiCaprio’s grossly polluting ways? The rest of the world of course, not DiCaprio. …A person’s consumption is their true cost to the rest of society, not their income, nor their unspent wealth. Does the tax DiCaprio imposes on himself for polluting the world reduce his polluting consumption? Hardly! In fact, it encourages more of it. …DiCaprio, and others like him, buy carbon offsets to sooth their guilt—guilt they never needed to incur in the first place. …they sooth their guilt by voting to spend someone else’s income helping others. They think they have done a good deed when they have really done nothing at all. I’m not sure I agree that carbon is pollution, and I also don’t like referring to consumption as a cost, but he’s right on the money about DiCaprio being a fraud or a phony (something that Michelle Fields exposed in a recent interview). Let’s now shift back to taxes. When I was in Montreal last year for a conference on tax competition, one of the highlights was hearing Governor Sam Brownback talk about his pro-growth tax policy. My least favorite part of the conference, by contrast, was hearing Margaret Hodge, a politician from the United Kingdom, pontificate about the evils of tax avoidance. And the reason that was such an unpleasant experience is that she’s a glaring hypocrite. Here are some excerpts from a report published by the International Business Times. Labour’s Margaret Hodge was, according to The Times, among the beneficiaries in 2011 of the winding-up of a Liechtenstein trust that held shares in the private steel-trading business set up by her father. The Times reports that just under 96,000 Stemcor shares handed to Hodge in 2011 came from the tiny principality, which is renowned for low tax rates. Three quarters of the shares in the family’s Liechtenstein trust had previously been held in Panama, which Ms Hodge described last month as “one of the most secretive jurisdictions” with “the least protection anywhere in the world against money laundering”. Let’s close by identifying one more hypocritical “champagne socialist” from the United Kingdom, as reported by the U.K.-based Telegraph. So we can add Ms. Hodge and Ms. Vivienne to the list of American leftists who also utilize tax havens to minimize their tax burdens. And all of the people above, as well as those above, will be charter members of the Statist Hall of Fame whenever I get around to setting up that page. The Paris-based Organization for Economic Cooperation and Development, which advocates higher tax for everyone else while providing gold-plated tax-free salaries and benefits to its own employees. The leftist political types who say tax havens are bad and immoral while simultaneously utilizing these low-tax jurisdictions to protect and grow their own wealth. The politicians and congressional staffers who decided to coerce others into Obamacare while seeking special exemptions for themselves. The rich leftists who advocate higher taxes for other people even though they refuse to send more of their own money to Washington. Prince Charles of the United Kingdom, who preaches coerced sacrifice for ordinary people even though his “carbon footprint” would be in the top 1 percent. The statists who fight against school choice for poor families while sending their own kids to pricey private schools for the elite. George Soros for supporting regulation for you and me, but not for himself. The Canadian politician who supports government-run healthcare for his constituents but comes to America for private treatment when he’s sick. And there are a lot more that deserve to be mocked for their statist hypocrisy.